Container Corporation of India (Concor), a Navratna PSU, is looking at an annual turnover of Rs 25,000 crore in the next five years, Union Minister Piyush Goyal said Friday. 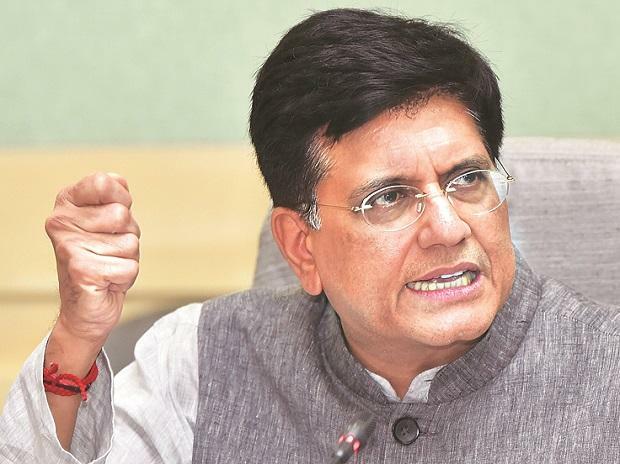 The PSU under the Ministry of Railways, which has 81 terminals, will cross the 100 mark next year and would contribute tremendously in bringing down high logistics cost in the country, Railways Minister Goyal said. He was speaking at the launch of the maiden container transport of Concor through coastal shipping, which was flagged off by shipping minister Nitin Gadkari. "Concor recorded a turnover of Rs 6,000 crore last year. It aims to take it to Rs 25,000 crore in the next five years," Goyal said. With collaboration with the shipping and highways ministry, the PSU could see its first voyage through coastal movement and will contribute in reducing the country's high logistics cost to 8 per cent from around 12 per cent at present, thereby, contributing to the growth of the economy, Goyal said. Lauding Gadkari for promoting waterways and bringing about sea-changes in the sector, the railways minister said Concor which started its journey with 7 terminals has taken the tally to 81 and would soon cross the 100-mark. He further said transportation through multimodes like rail, road and sea can bolster India's economic growth. Concor Chairman and Managing Director V Kalyana Rama was also present on the occasion. Gadkari kicked off Concor's maiden operations to transport containers through coastal shipping from Kandla to Tuticorin via Mangalore and Cochin through video conferencing here. Concor, incorporated in March 1988 under the Companies Act, commenced operations from November 1989, taking over the existing network of seven Inland Container Depots (ICD) from the Indian Railways. It has the largest network of 81 ICDs/CFSs in India now. In addition to providing inland transport by rail for containers, it has also expanded to cover management of ports, air cargo complexes and establishing cold-chain.